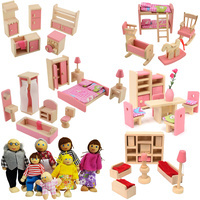 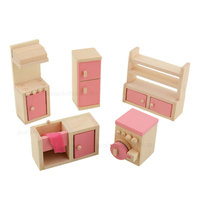 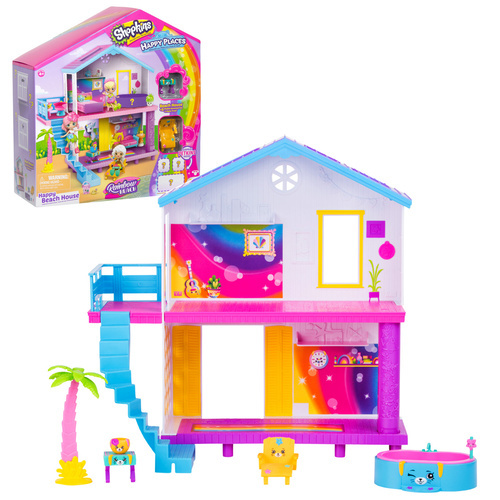 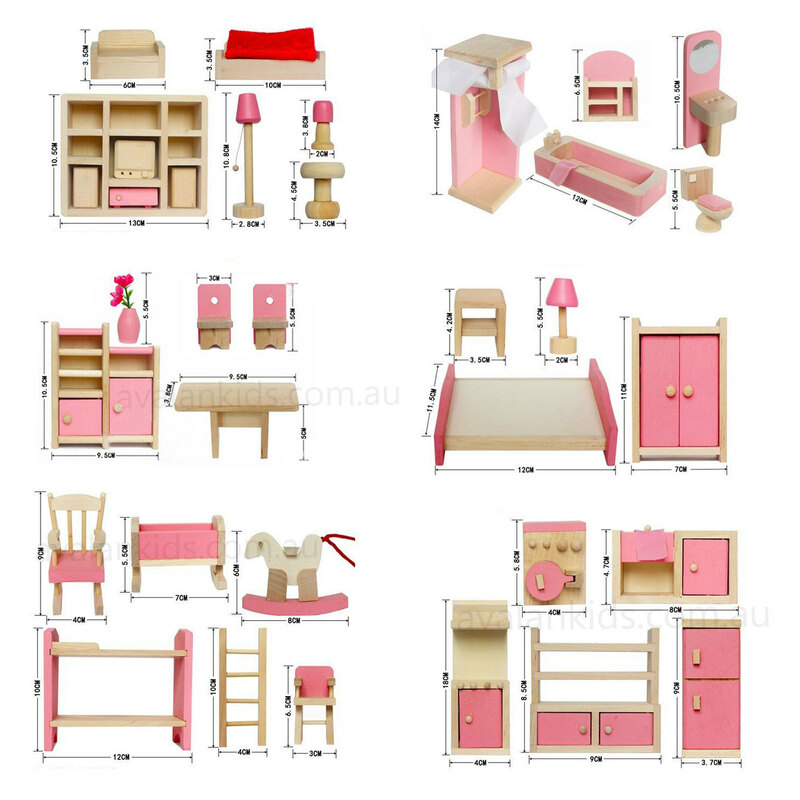 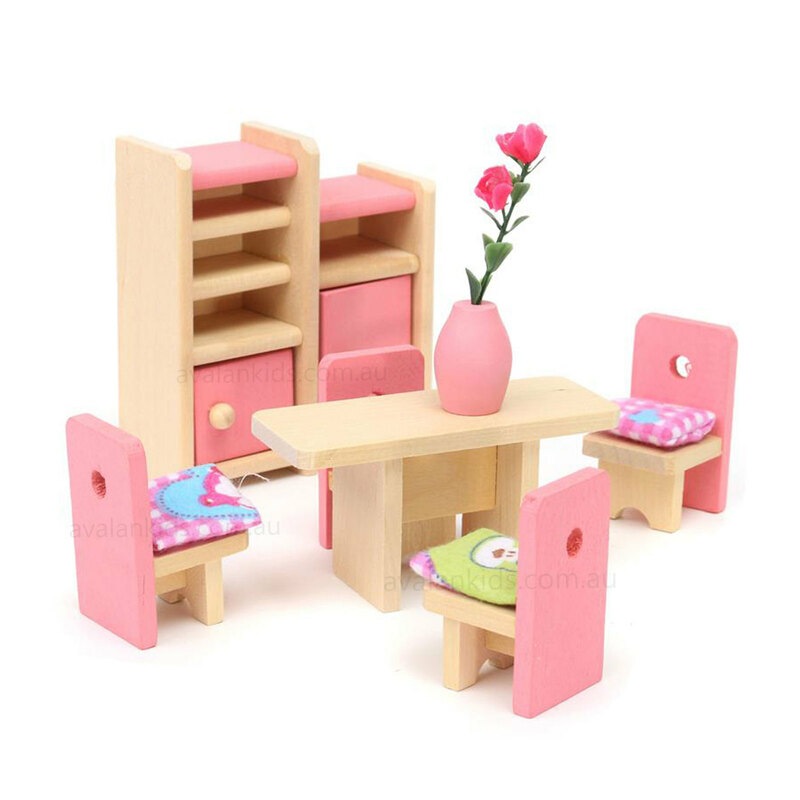 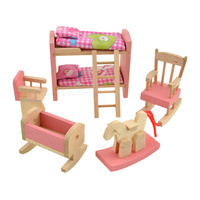 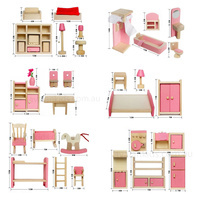 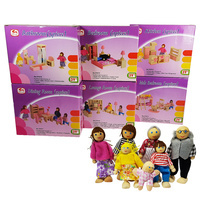 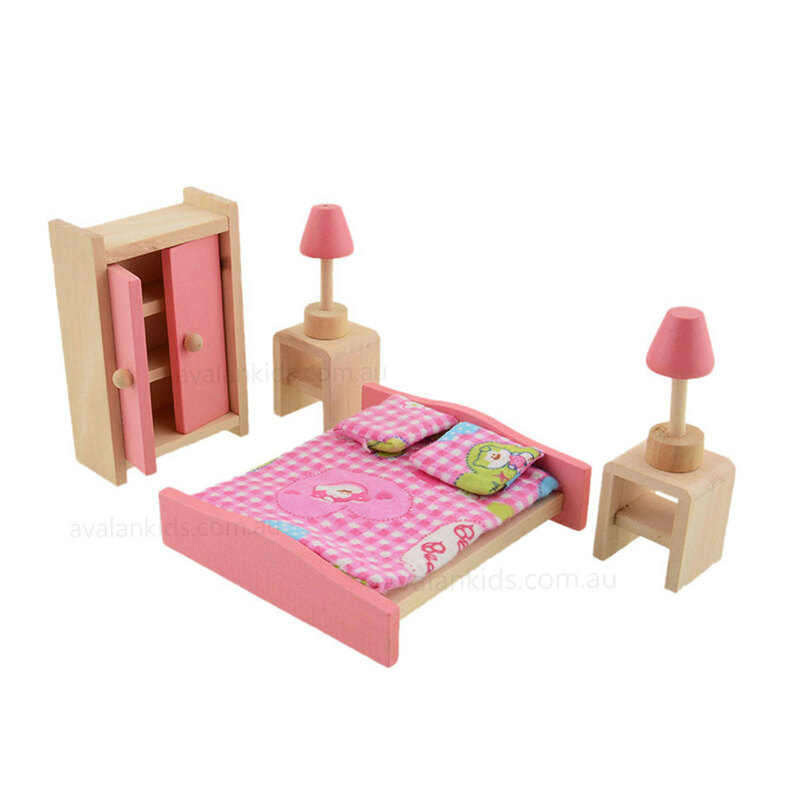 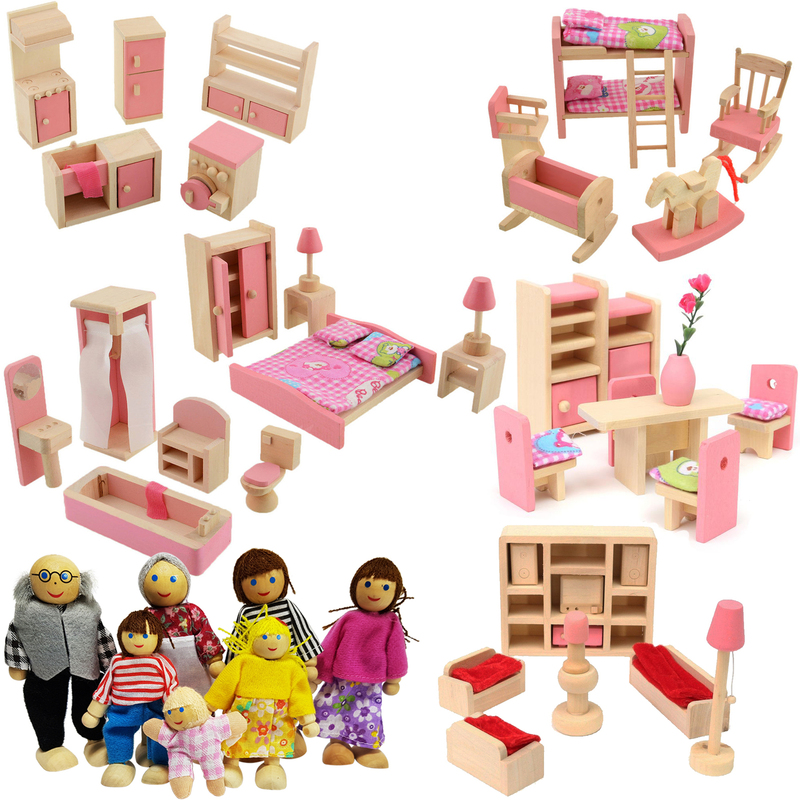 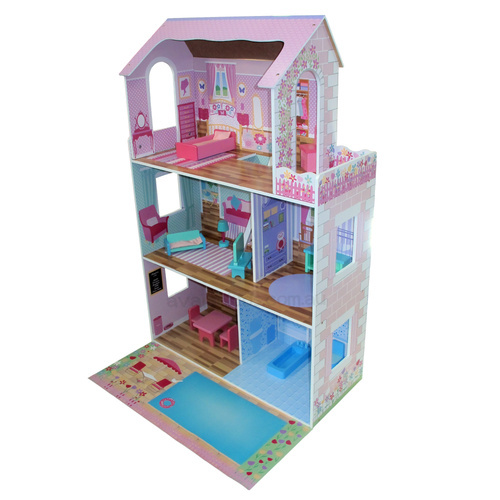 with Dining Room, Kitchen, Living Room, Bedroom, Nursery and Bathroom ...enough for a 6 room dolls house for endless play. 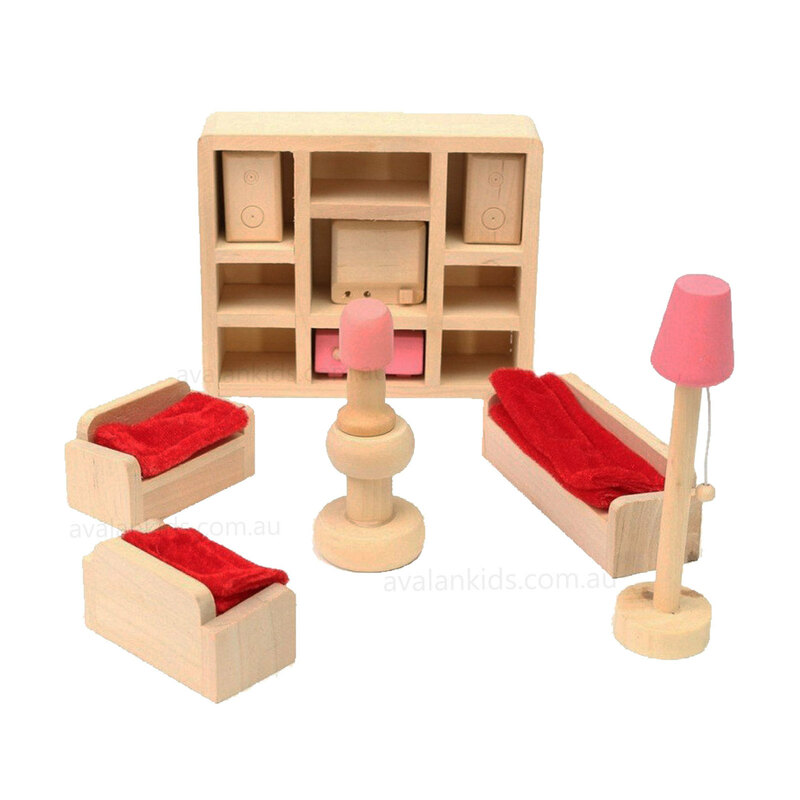 Cupboards and kitchen doors open to allow intricate playing. 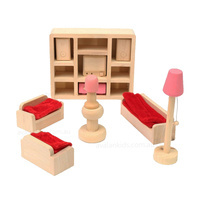 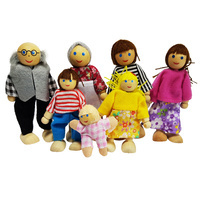 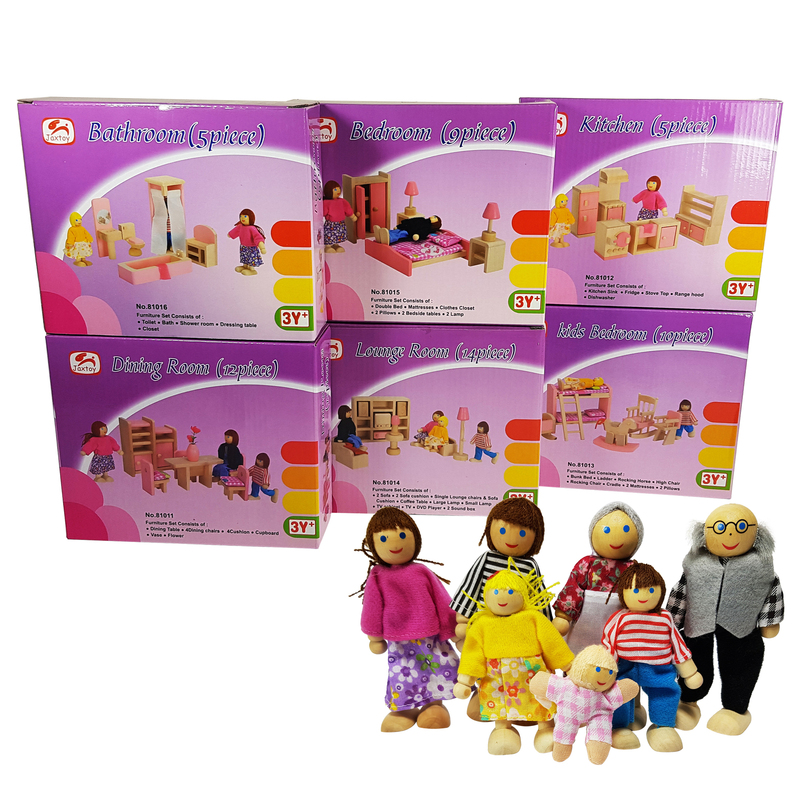 Furniture and dolls made from wood.